The weather has turned which means the crabs are getting fat and it’s time to eat them. A pest in the Thames, the Chinese hairy crab is an expensive delicacy here, and Shanghai is the epicenter of hairy crab consumption. If you haven’t indulged in or fiddled with hairy crabs before, it’s really something you should do, not for the meat, which is scarce, but for the rich orange roe of the females, which is reminiscent of sea urchin. Unless you prefer the gao of the males which is actually, well… ask your friends. Anyway! Where to go! Here’s two options. The first is joining the queue at hairy crab restaurant Xie Zun Yuan. The glassed-in space is rather sedate for ten months of the year (though hairy crabs never truly go out of season) but explodes into activity in early fall, as it did last week, with long lines and stools on the sidewalk. The draw here is that all the crab comes picked into meat and roe, and is served in courses, with noodles, in wontons – any way they can think of, basically. Take a number, join the line. The second is joining the group at UnTour, which is running four nights of a special Hairy Crab Feast. 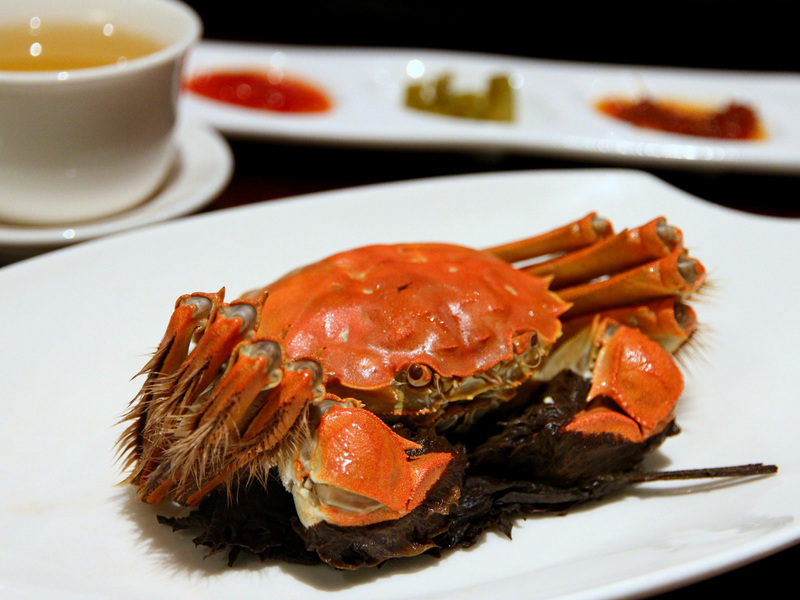 The tour goes through Old Town and includes plenty of huangjiu, the traditional spirit for drinking with hairy crabs, passing through two to three different venues/restaurants over the course of the night. This happens twice in October (13th and 24th) and twice in November (10th and 24th) and gives all profits to charity Shanghai Young Bakers, which is a nice touch. Get in touch with them here to book that.